Whenever it is feasible I try to finish my woodwork before I install it. I feel that this allows for the absolute best possible finish. However, there are times when this method is neither practical nor desirable. 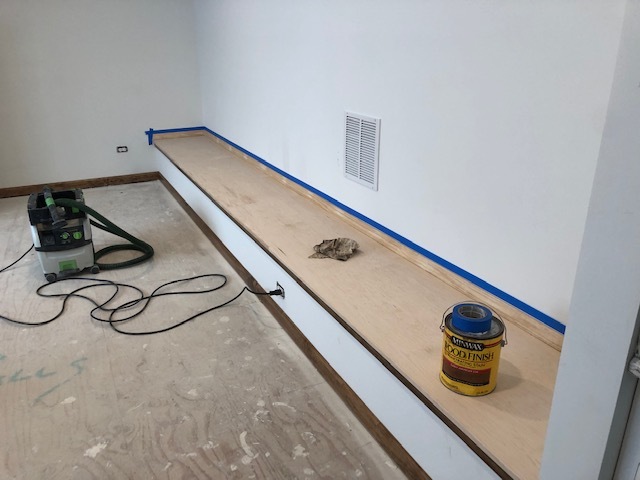 I just installed a large built-in bench in a customer’s bonus room. This construction project involved quite a few joints. 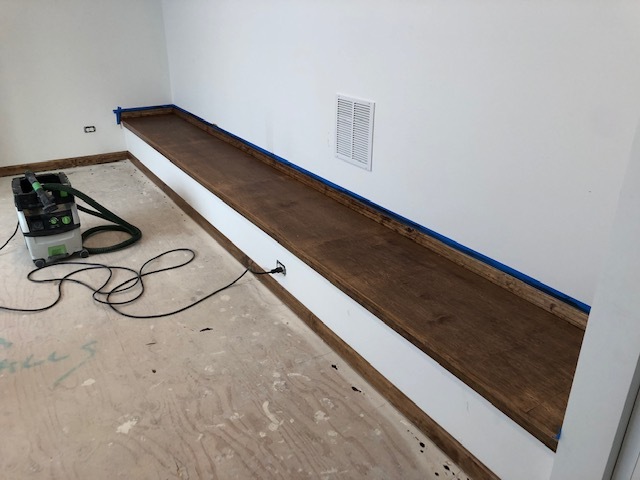 All of these had to be filled and sanded, and it is simply not practical to stain the wood before the bench was constructed. Therefore, I stained the wood on site. This was the best compromise, and it still produced a beautiful bench.